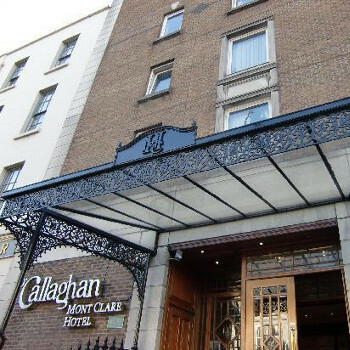 An excellent find, convenient to Dublin city centre and all attractions, shopping, bars restaurants etc. Situated just off the landmark Merrion Square (HQ of the Football Association of Ireland), it is also within walking distance of the soon to re-open Aviva Stadium, formerly Lansdowne Road rugby ground. Very clean, comfortable (not the biggest room I've stayed in but enough space so as not to be cramped, nonetheless). Reception and cleaning staff were friendly and helpful. Was down working so didn't get a chance to dine in the hotel but, again, the dining room looked very well appointed and welcoming. The very spacious looking hotel bar, on the corner of the building wasn't open on the early midweek night I stayed but one of the staff directed me to a smashing wee bar across the street... The Ginger Man, named after the (in)famous book by JP Donleavy, and with lots of history which the friendly staff are only top happy to chat about... extensive bar menu, too, was noted. If you are loking for somewhere central, cheap and cheerful, and at the same time offering home comforts, I wouldn't go past this place... got it on offer at lastminute.com for 50 euros and was worth half that again.